1903-2000 On September 17, 1903, George (Georges) "Kolty" Gustaf Koltanowski was born into a Polish Jewish family. He was born at No. 2 Loos Street, Antwerp, Belgium. In 1914, he and his family evacuated to Holland, then to London during World War I. In 1915, Kolty got a splinter in his leg, which led to blood poisoning. Doctors discussed amputating both of his legs. He was confined to bed for two years and had 14 operations, but it saved his legs. In 1918, at the age of 14, upon return from England after World War I, he took up the game seriously and joined the Antwerp Chess Club. In 1919, Kolty learned chess by watching is father and older brother play. He was soon beating his whole family, including his father and two brothers (Jack and Harry). On March 13, 1921, Kolty played his first game of blindfold chess. On April 13, 1921, Kolty gave his first simultaneous blindfold exhibition in Ghent, playing both of his brothers, and winning both games. A week later, he was playing 3 opponents blindfold at one of the Antwerp chess clubs. Unfortunately, he lost all 3 games and swore he would never play another blindfold game again. In July-August, 1922, Kolty in the Major Open (not the Master Tourney) in London, but took 11th out of 12 places. He won 3, lost 7, and drew 1. In September, 1922, Kolty took 2nd place, behind Edgar Colle (1897-1932), in the 2nd Belgian championship, held in Antwerp. In May, 1923, he won the 3rd Belgian championship, held in Gent. In October, 1923, he won a master tournament in Brussels. 1924, he was conscripted in the Belgian army. He served time in Namur, Holland. His military captain, who was also the president of the local chess club, encouraged him to take time off for chess. He got a furlough to play in the internatioanal tournament in Merano, Italy. In February, 1924, Kolty, Belgian champion, visited and played in his international tournament in Meran (Merano), Italy. He was planning to play in one of the reserve sections. However, the organizers asked him to play in the master section, to replace an invited player who had not shown up. Kolty took 11th place with 3 wins, 6 losses, and 4 draws. His only major win was against Edgar Colle and he drew with Siegbert Tarrasch. He lost to the top 4 players. Ernest Gruenfeld took 1st place, followed by Spielmann and Rubinstein. In June, 1924, he played Board 1 in a match Belgium vs. Holland. He lost on Board 1 against Max Euwe. In July, 1924, he played board 2 for Belgium in the unofficial Paris Chess Olympiad. He tied for 4th-7th for best individual score. In 1925, he played a match against Colle in Antwerp, but lost the match (4 losses, 3 draws). In October, 1925, he played Board 2 in a match Belgium vs. Holland. He won his game against Adolf Olland. In November, 1926, he played Board 1 in a match Belgium vs, Holland. He lost to Max Euwe. In 1926-1927, he won the Major Tourney section (not the Premier Tourney) at the 7th Hastings Christmas tourney. In July, 1927, he played Board 1 for Belgium in the first official Chess Olympiad, held in London. He scored 56.7%. In September, 1927, he won the 7th Belgian chess championship, held in Gand. In 1927-1928, he tied for 1st in the Major Open — Section A at the 8th Hastings Christmas tourney. In July, 1928, he tied for first in the Major Open section of the 21st British Chess Federation championship, held in Tenby. In August, 1928, he played Board 2 for Belgium in the 2nd Chess Olympiad, held at The Hague. He scored 59.4%. In 1928-1929, he took 4th place in the Premier section of the 9th Hastings Christmas tourney. In February, 1929, he took 2nd place in the Belgian championship, held in Gent. In June, 1929, he took 8th-9th place in an international tournament in Paris, won by Dr. Savielly Tartakower. In March, 1930, he won a master tournament, held in Brussels. In September, 1930, he won the 10th Belgian chess championship. In 1931, he drew British master William Winter in a match in London, winning 1, drawing 1, and losing 1. On May 10, 1931, he played 30 boards blindfolded simultaneously in Antwerp. The event was organized by the Flemish Chess Club. He won 20 and drew 10. The exhibition was against a group of players drawn from the chess clubs of Antwerp. In 1932, Kolty became the top Belgian chess player when Edgar Colle died. In February, 1932, he took 7th at the International tournament in London, won by Alexander Alelkhine. In March, 1932, he won a master tournament in Antwerp, ahead of Salo Flohr. In 1932-1933, he took 4th in the Premier Reserves section of the 13th Hastings Christmas tourney. In March, 1934, Kolty and Alexander Alekhine teamed up in Antwerp to give a tandem blindfold exhibition. In 1934-1935, he tied for 1st in the Premier Reserves section o f the 15th Hastings Christmas tourney. In 1935, Kolty became a chess trainer at the Madrid Athletic Club in Spain. In June, 1935, he tied for 1st with Salo Flohr at Barcelona. In 1936, he won the Belgian chess championship. On September 20, 1937, Kolty set the world's blindfold record in Edinburgh, by playing 34 chess games simultaneously while blindfolded (breaking Alekhine's record of 32 simultaneous blindfold games). He won 24 and drew 10 games in thirteen and a half hours. When the exhibition was over, he would recite the complete moves of the games without looking at the board. The exhibition was organized by the Stockbridge Chess Club in Edinburgh. In 1938, Kolty left Belgium to tour the world and play chess. He played in the Margate Premier Reserves and was the only one undefeated. On March 1, 1939, Kolty gave his first blindfold exhibition in Cuba. In 1939, the Hollywood Chess Group sponsored the California State Championship. The event was won by Philip Woliston, age 19. 2nd-3rd place went to Herman Steiner and Harry Borochow (1898-1993). George Koltanowski took 4th place. During World War II, many of Kolty's relatives, including his mother and brother, died in the Holocaust. Koltanowski survived because he happened to be on a chess tour of South America and was in Guatemala when the war broke out in September, 1939. In 1940, Kolty took 2nd at a master tournament in Havana, won by Isaac Kashdan. In 1940, the United States Consul in Cuba saw Koltanowski giving a chess exhibition in Havana and decided to grant him a U.S. visa. In the summer of 1940, Kolty was a chess instructor at the Milwaukee playgrounds in Wisconson. In 1944, Kolty met his second wife, Leah, in New York on a blind date. She never learned how to play chess. She once said, "George is the grandmaster. If he taught me the game, I'd be just another chess player." In 1946, he played in the preliminary section of the U.S. Open, but was eliminated and did not qualify for the finals. In 1947, he directed the U.S. Open in Corpus Christi, Texas (won by Isaac Kashdan), using the Swiss System for pairings (the Swiss System was first used for the preliminary round of the 1946 US Open because of the large number of entries). He was greatly responsible for popularizing the Swiss System for tournaments in the US. In 1947, Kolty settled in San Francisco. From 1947 to 1949, Kolty edited the California Chess News and News of the Pacific Coast. It was later renamed Chess Digest. In 1948, Koltanowski became the chess columnist for the San Francisco Chronicle, which carried his chess column every day for the next 52 years without interruption until his death in 2000, publishing an estimated 19,000 columns. His chess column soon appeared as a syndicated feature in other papers. On Dec 4, 1949, Kolty played 271 games simultaneously at the Marines Memorial Club in San Francisco. He won 251, drew 17, and lost 3. On Dec 2, 1951, Kolty played 50 boards blindfold (one at a time, 10 seconds a move) in Stockton, California. He won 43, drew 5, and lost 2. In March, 1952 Bogart was in San Francisco and played a game with George Koltanowski. Koltanowski played blindfolded and defeated Bogart in 41 moves. In 1952, Kolty hosted a chess program on radio station KPFA of Berkeley, California, commencing each Friday night at 9pm. He played a game against the station's listeners, and then analyzed the game in future broadcasts. In 1960, he was awarded the International Arbiter title. On December 4, 1960, at the Fairmont Hotel in San Francisco, California, Koltanowski played 56 consecutive games blindfolded, with only ten seconds per move. He won fifty and drew six games. The event was sponsored by the San Francisco Chronicle. Koltanowski still holds the record in the Guinness Book of Records. 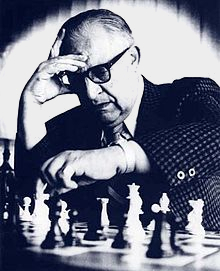 In the 1960s, Koltanowski was the host of "Koltanowski on Chess," a series of half-hour television broadcasts about chess produced by KQED that aired on public television across the country, the first such program of its kind. 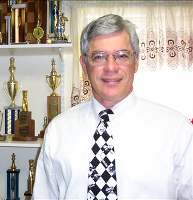 In 1974, he was elected President of the United States Chess Federation (USCF) and served until 1978. In the early 1980s, the Dayton Chess Club and the Ohio Chess Association (I was President of both organizations) sponsored George Koltanowski to give his famous Knight's Tour exhibitions throughout Ohio. Because of our sponsorship, Kolty provided the Dayton Chess Club a Chess Challenger and Boris chess computer. In 1983, George Koltanowski, living in San Francisco, called my house at 7 am (4 am Pacific Time). My wife, Lois, answered and the voice on the other side said, "this is George Koltanowski calling for Bill Wall." My wife, not believing it was Kolty and that it was a prank repondeded, "If you are George Koltanowski, I am Raquel Welch." When I heard that, I said, "Raquel, give me the phone." It was George and he was calling about a chess article I had written for the Dayton Chess Club Review and the Ohio Chess Bulletin, and wanted permission to use it in one of his articles. In 1986, he was inducted into the U.S. Chess Federation Hall of Fame. In 1988, he was awarded the honorary Grandmaster title in 1988. When Kolty died, he had written more than 19,000 chess columns for The San Francisco Chronicle. Up to that time, it was the longest-running daily chess column in history. Koltanowski wrote 18 books on chess.